Tara Carter very kindly contributed this wonderful image of children meeting Father Christmas in Churchill Square. The photograph was taken some time in the 1970s during a promotional event for The Argus Christmas Appeal. 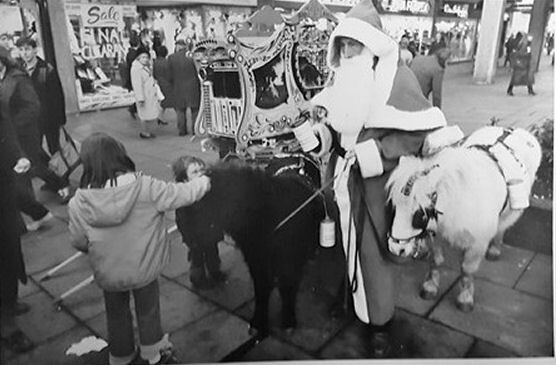 Do you remember seeing Santa and his miniature ponies who were standing in for reindeer? Maybe you have other memories of meeting Santa? Please share your memories by posting a comment below.